LEVERAGE OUR EXPERIENCE WITH PRODUCTS AND SERVICES UNMATCHED IN THE LUMPING INDUSTRY. As the most mature and experienced company in the legal lumping industry, we've done it all first, and we know how to do it better. You'll benefit from a time-tested set of operating procedures for every area of your business — from the power of our proprietary unloading software, to the hard-won experience of our veteran lumpers. With everything in place, you'll start to see great things happen — faster truck unloading, more efficient dock use, and increased cost-cutting opportunities. Our one goal is to provide you with confidence, greater efficiencies, and a boosted bottom line. We earn our reputation every day. Our clients know just how highly we value our partnerships, and it's why some of them have been with us for over 25 years. We hope our tradition of providing personalized service, as well as the consistency with which we provide it, will demonstrate to you that we're in it for the long haul. Thanks to our decentralized operations plan, every one of your warehouses gets top-tier service, regardless of size. Our teams know exactly which trucks are inbound to your docks and, once they arrive, seamlessly transition them to our experienced lumping crews. All the while, your paperwork flows right into our fully scalable system, keeping your docks turning over without delay. We have the most dynamic software in the industry. Period. Unlike our competitors, we've had decades to refine our proprietary software to work harder for you. 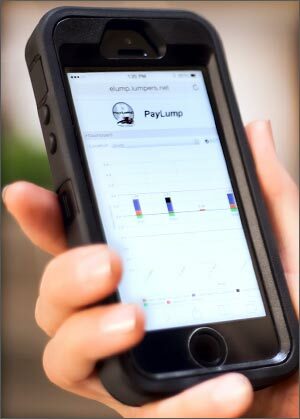 By combining our secure, off-site cashless payment system, full-cycle financial management systems, and comprehensive unloading monitoring capabilities, our state-of-the-art PayLump software makes every aspect of your operation visible to you instantly — fostering new levels of efficiency, security, and accountability. 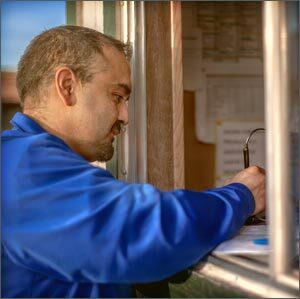 PayLump provides error-proof systems where every truck, PO, and financial transaction is tracked and reported for you. Each delivery is properly accounted for and billed. Best of all, zero transactions on your warehouse floor. All payment processing is conducted in a controlled environment to keep your lumping revenue safe. Additionally, to help offset inbound costs, PayLump makes sure warehouse customers receive fair market financial incentive programs that account for every delivery. To empower our warehouse customers to run cost-effective inbound operations, we offer software that manages revenue-driven compliance programs for late, unscheduled, no-show deliveries and any other compliance related fees. This program encourages deliveries to show up on time and in accordance with your schedule, resulting in increased operational efficiency and effectiveness. With the high cost of pallets and pallet handling, we offer software that encourages revenue-driven programs that enforce the proper delivery of freight palletized to specification on fully compliant pallets. This saves the warehouse resources, increases dock efficiency, and improves overall safety. 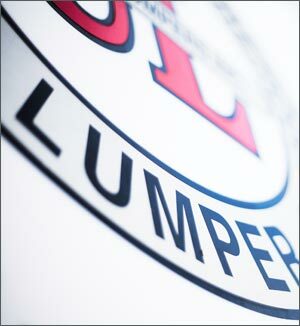 You can also create your own custom online lumping application, one that's best suited to your needs. Build your new “warehouse” around your specific gate-to-gate processes, then keep customizing it as your facilities continue to grow and evolve, year after year. Our proprietary unloading software covers 60+ vital data points per unload — more than anyone in the industry. Our digital dashboards give your dock teams a real-time snapshot of the dock's KPI, enabling informed decisions at a glance — and making our two-minute check-in and 120-minute gate-to-gate goals a reality. Best of all, it all happens in real-time, accessible from any monitor, tablet, or smartphone device. There's nothing you won't see.